"We hire our students" - Contact us about how to jump start your career! Specialized not only trains helicopter and airplane pilots, we also offer students a view of the inner workings of a successful flight services operation. We give our students an advantage with experience in a comprehensive list of aerial services, including tours, charters, aerial film and other contract work. Our diverse fleet provides you with a broad skill set flying multiple types and makes of aircraft. We are located within a short distance of all terrain types you need to train on; Beach bluff landings, redwood confined areas, steep mountain tops and valleys. And, we can take you higher than anyone else with flight training at over 5,000 Feet along the Big Sur coastal mountain range. The best financing option around is through AOPA. You can get good rates with no money down and rates from 7.74-12.99%. The average monthly payment would be a very low $100-$200 per month for 84 months. This is the first step in your aviation career! Becoming a private pilot will allow you to build time towards another rating, fly for fun, or give rides to your friends. This stage is also suited for those who desire to own a helicopter for personal use. During this stage you will be instructed on the basics of helicopter flight. In the first phase you will learn basic flight maneuvers and procedures and solo the aircraft; this could be one of the most exciting flights you ever take! You will then refine your skills in preparation for your practical exam. Along the way you will also gain knowledge in and experience navigation and cross country flight planning. Get paid to fly! Getting paid to fly a helicopter may be your dream, with a commercial license your dream could become a reality. During this stage you will become prepared for the practical demands of professional flying and qualified to fly most of the commonly-used civilian helicopters. Many advanced maneuvers are introduced and all skills are sharpened. Additional detail and depth regarding a pilot’s ground knowledge will also be taken to the next level. Learn to fly in the clouds! Ever wonder how airline jets can fly in the clouds with zero visibility, cover vast distances and then end up at their exact destination? This is done only by reference to the instruments in the aircraft. This stage of flight training is much like chess; every move is strategically planned out. Learning how to do this in a helicopter is a vital skill that will make you a much safer, more confident and more employable pilot. 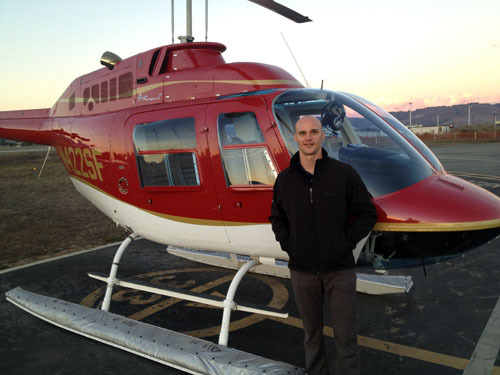 The first step in a career as a helicopter pilot is to teach others how to fly them. This course will give you that much needed edge, skills and advanced understanding that most employers are looking for. You will learn to instruct and maneuver the helicopter to a higher level of accuracy and performance than those pilots that only hold a commercial pilot certificate. Learn to teach in the clouds! Take Your Flight Instructor career to the next level and become an instrument instructor (CFII). With the recent FAA regulation requiring at least 10 hours of instrument flight training for all commercial pilot applicants, many flight schools have found it necessary to hire a higher percentage of CFII instructors. Going the extra mile and becoming a CFII will make you a much more qualified and employable instructor, allowing you to teach on all VFR and IFR courses. All encompassing! The Professional Pilot Program will give you the maximum training possible, at little additional expense. It is designed to develop the student with little or no experience into a pilot with a true competitive advantage. Specialized Helicopters will tailor this comprehensive program for you the individual, mixing and matching what you need from all of our programs. 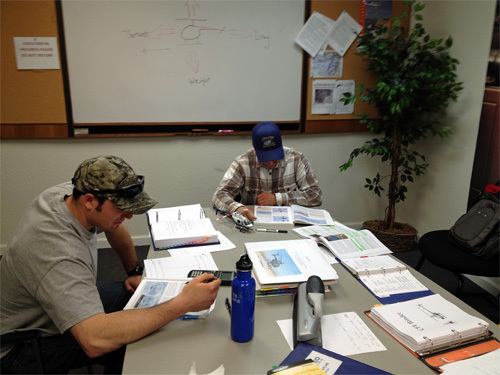 Most students will advance through the course in the following sequence to maximize training and minimize costs; Private, Instrument, Commercial, CFI, CFII. Our advanced auto-rotation course shows you the edge of your personal envelope and advances you to the next level of pilot skill. Our chief flight instructor will work you through; Full Down Auto-rotations, zero speed auto-rotations, hover auto rotations, minimum decent auto-rotations, max glide auto-rotations and any other special requests. Our former students fly all over the world! Ask to talk with a former student and learn why Specialized is the best choice! 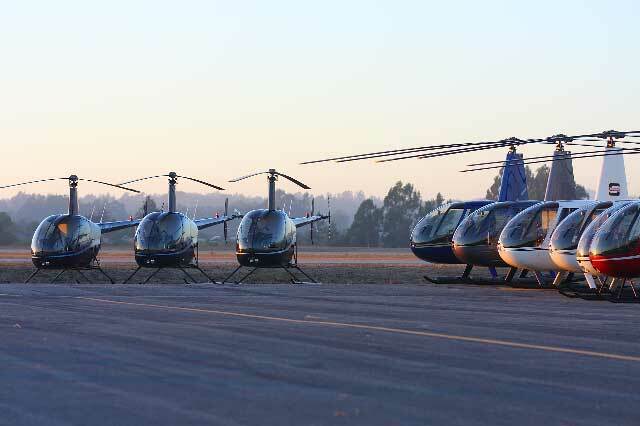 Specialized Helicopters offers an add-on course to those wanting to add a helicopter commercial certificate to an airplane rating. Below is a summary of what and how this is accomplished. This course can be customized to meet your needs. 4. What helicopters to i fly in? 50 hours in the R22 and 5 hours in the R44. 3. 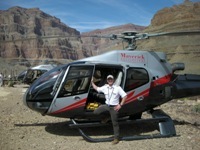 For rated commercial pilots, no knowledge test required but a home study course in helicopters should be administered.